A Quiet Corner: Time Change?? 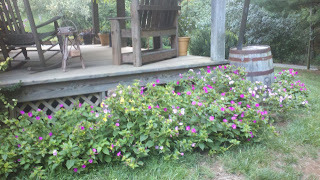 If these are called "FOUR O' CLOCKS," why do they bloom in the early morning hours?? silly girl! but good question! 'cause they're CLOSED by four?! 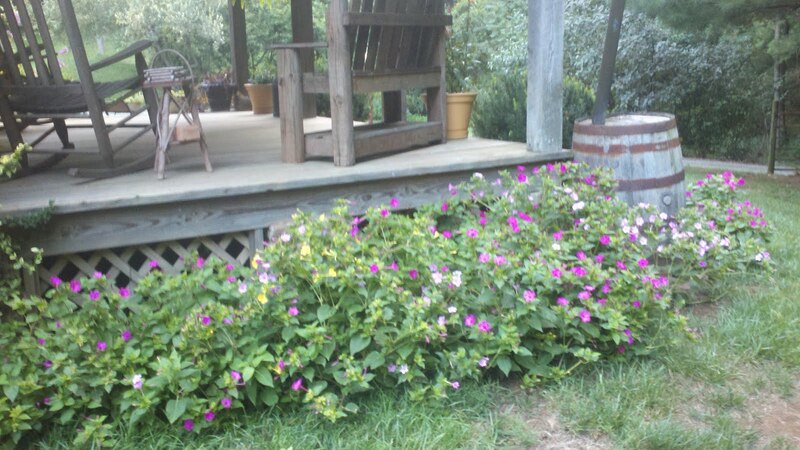 I think your four-o'clocks are ALL confused! Perhaps they look like 4 o'clock? They never learned how to read that sun dial? The common garden variety four-o'clock (Mirabilis jalapa) is also known as Marvels of Peru. They received their name because of their habit of opening in the late afternoon. It is not actually the time of day that causes the flowers to open, but the drop in temperature. The flowers close the next morning, except on dull and cloudy days. Bet that's more than you wanted to know about that!